For families across the country, spring break means one glorious week without school and the chance to trade coats and boots for shorts and flip-flops. When it comes to choosing a destination that screams high-octane fun in the sun, there's no place that draws more families than Orlando. 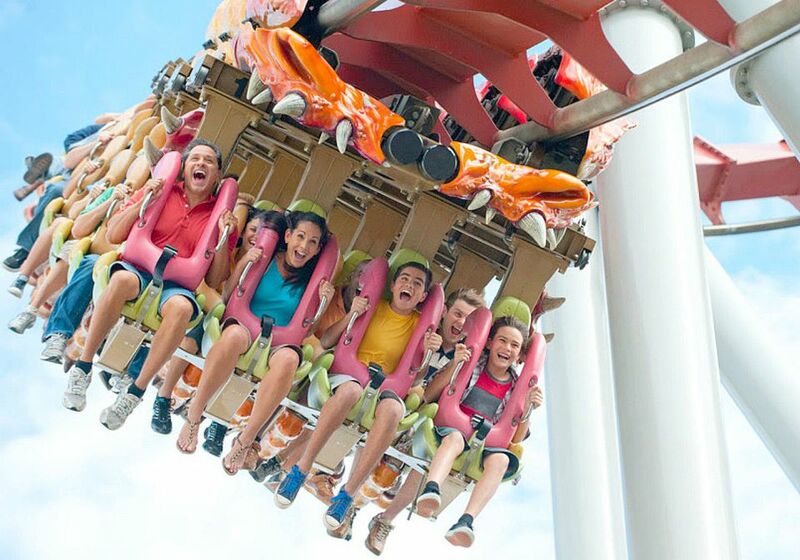 The theme park capital of America boasts Walt Disney World, Universal Orlando Resort, SeaWorld, Legoland Florida, as well as many other smaller family fun spots. As you would expect, there are hundreds of family-friendly hotels and resorts for every budget, from wallet-friendly motels to plush resorts with elaborate water parks and spas. Keep in mind that Orlando is a sprawling city, so it's important to choose a hotel near the attractions you most want to visit. Since schools across the country have different spring break weeks, the crowds don't hit Orlando all at once but rather throughout the spring break season that falls between mid-March and late-April. But make no mistake: Orlando's theme parks will be crowded throughout the spring break season, which ranks among the busiest times to visit Disney World and other Orlando theme parks. Along with the year-round fun to be had in Orlando, several special events are held during spring break season. At the annual Epcot International Flower & Garden Festival (Mar 2-May 15, 2016), Epcot is adorned with dozens of amazing topiary figures of Disney characters and there are also free outdoor concerts and numerous gardening demonstrations. Also at Epcot, the annual Egg-stravaganza is back in the weeks leading up to Easter (Mar 2-27, 2016). For this fun egg hunt, oversized Easter eggs painted with Disney characters are hidden throughout the World Showcase. Baseball lovers can catch a game or two during spring training season (Mar 1-Apr 2, 2016). Home base for the Atlanta Braves is the ESPN Wide World of Sports Complex at Disney World. Universal Studios Florida celebrates Mardi Gras on select nights over spring break (Feb 6-Apr 16, 2016), complete with a big parade, street performers, Cajun cuisine, free concerts, and New Orleans bands. The event is included in the regular admission ticket. There's a lot of partying, but also plenty of families in attendance. The nearby town of Winter Park is hosting its 62nd Annual Easter Egg Hunt on Saturday, March 26, 2016 at 9:30 a.m. Children age 10 and under can hunt for over 10,000 eggs placed around downtown Central Park. If you're visiting during March or April, be sure to check out special offers on deal-finding sites. Is There Hope for the Childfree in Orlando, Florida?